In collaboration with PDFConverter, we are giving away 5 licenses each worth $99.95 of PDF Converter Elite 3 for FREE. PDF Converter Elite 3 is a complete PDF management suite that can create and edit PDFs from different file types, convert them to widely used formats like Word, Excel and Powerpoint plus secure PDFs and much more. The free trial which lasts 15 days can be downloaded from here. The main interface of PDF Converter Elite is pretty much self explanatory and mainly consists of various functions that are widely used. This includes opening files, creating PDFs, editing files and converting to different formats. 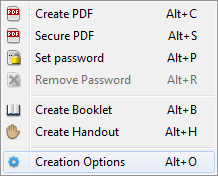 The “Create” option provides various options like making a PDF, setting password, removing password, creating a booklet or a handout. 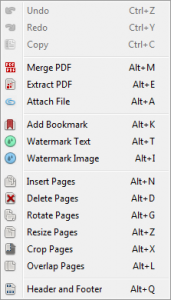 The “Edit” option allows to insert or add pages, watermarks, extract and merge PDFs, setting header and footer and various other editing options. 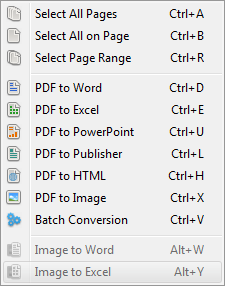 The “Convert” option allows conversion from PDF to Word, Excel, Powerpoint, Publisher, HTML and even images. There is a handy option of batch converting which can take multiple files and convert them quickly. Also converting an image file to Word and Excel format is supported. 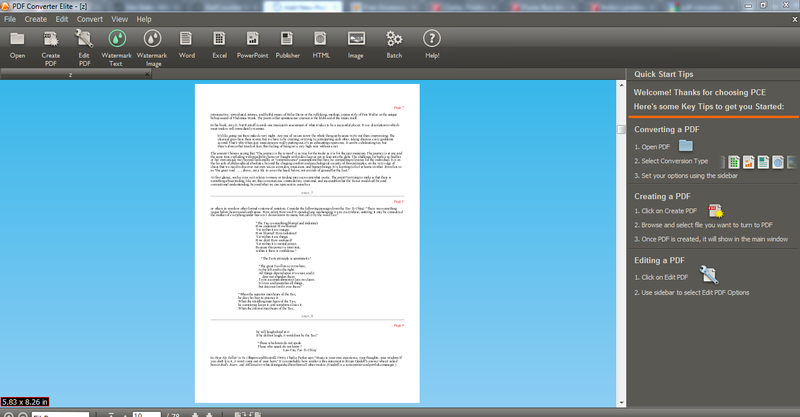 The “View” feature is like a regular PDF viewer allowing to browse and read contents of PDF files. Overall, it is an easy to use and lightweight PDF management suite. In the comments section, please let us know why you are interested in PDF Converter Elite and also feel free to share your experiences if you have previously used any other PDF management suite. Also sharing this post on Twitter or Facebook would be awesome but is not necessary to be eligible for receiving the license. The best 5 comments will receive their licenses via email. Please makes sure to provide a valid email address with your comments as the licenses will be emailed to that address. Giveaway closes on 2nd February 2012. PDF Converter Elite 3 is a stronghold PDF creating and editing, something my WIndows do not have, this soft will help to increase efficiency and productivity by using a single software and in batch mode. Please include me in the giveaway. Making and keeping PDFs quickly would be a nice thing to do considering how convenient it is to carry ebooks in PDF format then hard copy. Many thanks for launching this giveaway. This looks like an interesting PDF software to have. Only used PDF readers so far (Foxit, Adobe) but would like to try the complete suite like the one in giveaway. 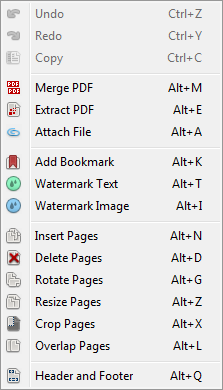 Never have used a PDF management suite but this looks pretty useful for making PDFs and editing them. I have lot of PDFs with me and think can edit them quickly by this software. Count me in. I am interested in this giveaway. I find PDFs very easy to carry as well as secure compared to other types of documents. This PDF software has many features which I think will be useful to me. Hope you can consider me for the license key. I too want a license for this software! I am also interested in the same. I use PDFs because they are easy to carry on cell, tablets and laptops. So converting documents into PDF format definitely makes life easier. Haven’t used any PDF suite before but would be great if I can get PDF Converter Elite. I’m interested in PDF Converter Elite because it is a complete suite for your PDF management needs. It can create, edit, convert, view your PDF files. Most I like is the convert features where you can convert your PDF files to an easy to edit document files for easy editing for my reports. 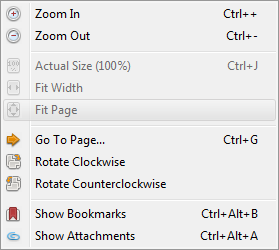 Creating PDF is also awesome in creating and uploading my reports because of its small size. 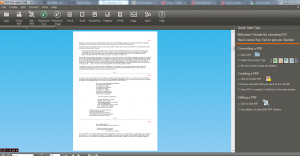 I previously used Wondershare PDF converter and NovaPDF for this task.